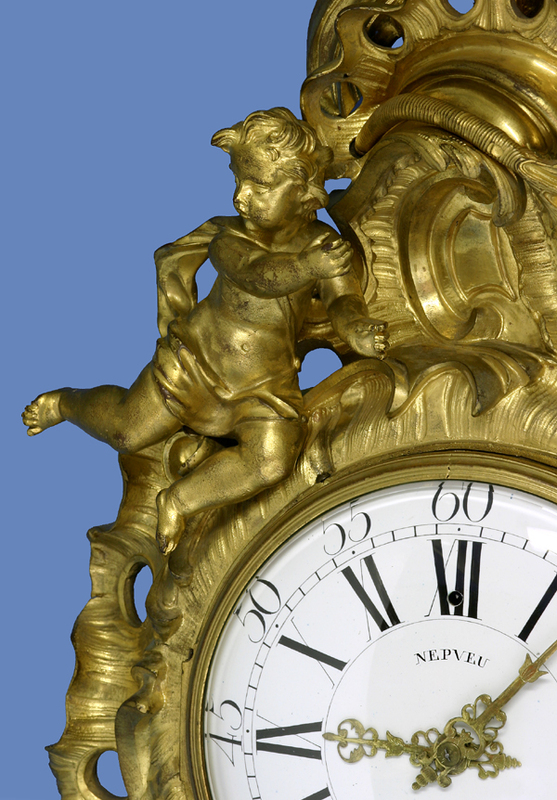 A large Louis XV French ormolu cartel clock by Nepveu à Paris. 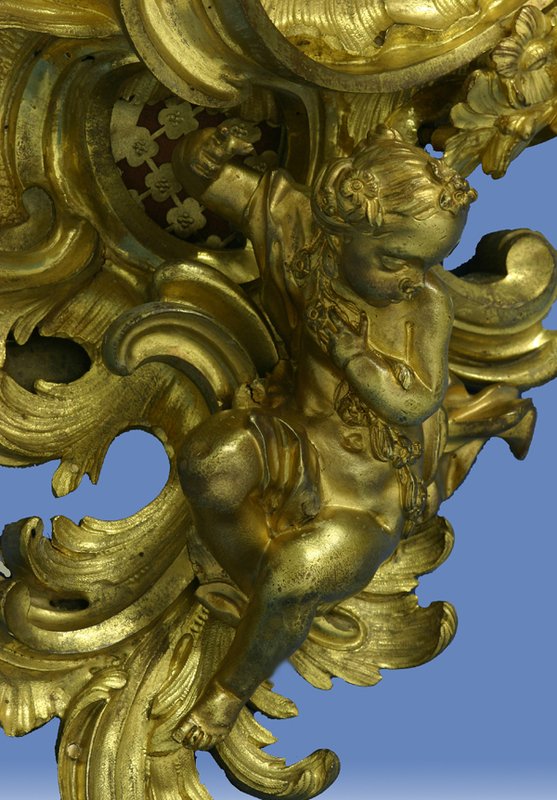 The lavishly adorned, well-cast and finished ormolu case has two putti amongst the C-scrolls, flower sprays and scrolling foliage. To the sides and front are set engraved floral fabric backed frets. 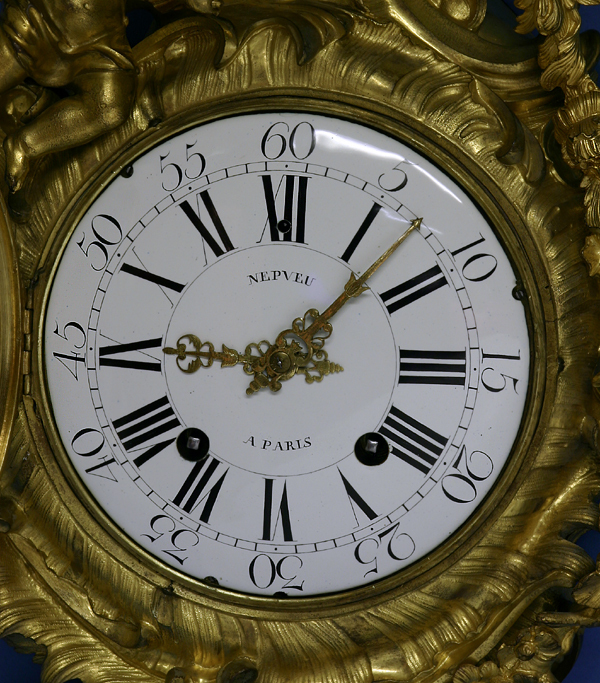 The large one-piece porcelain dial with black lettering has a cast and molded glazed bezel, Roman numerals for the hours, Arabic numbers for the five-minute marks, is signed by the maker, ‘NEPVEU A PARIS’, and has two well cast and engraved ormolu hands. 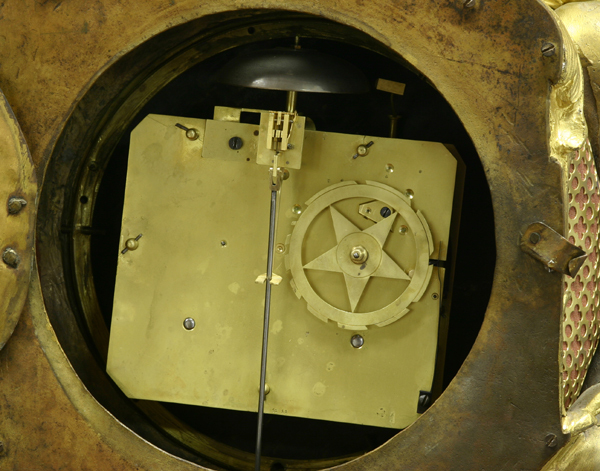 The large square time and strike eight-day movement has chamfered corners, a large star countwheel and a torsioned hammer that strikes a bell mounted above. The escapement had been updated and converted during the Victorian era and now has a Brocot style suspension that is regulated out the dial for Fast/Slow. 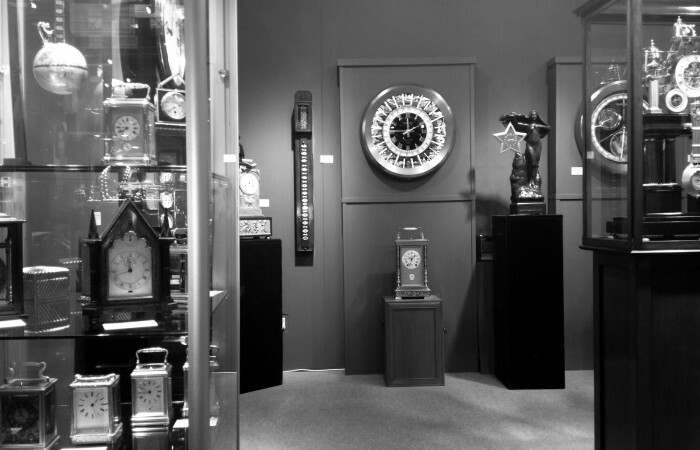 French cartel clocks were extremely popular during both the Louis XV and Louis XVI periods. The sizes ranged from very small time-only Boudoir pieces to large imposing examples. Tardy’s listings for Nepveu range from 1759-1830.